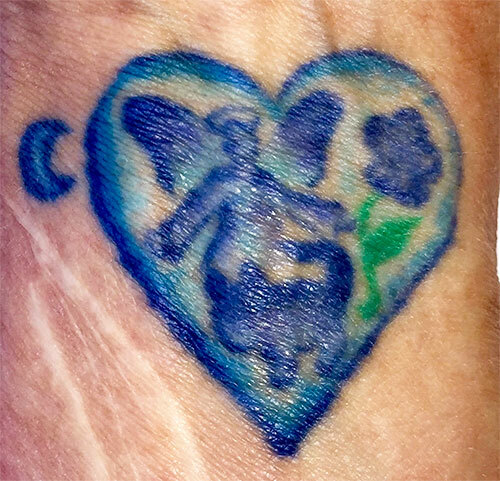 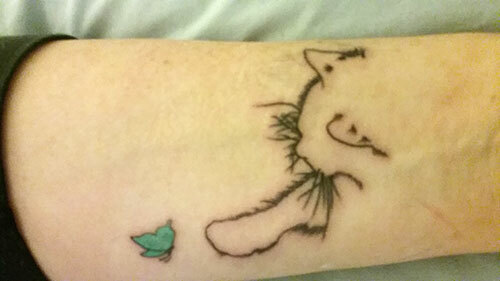 A few weeks ago a very delightful-customer named Paula sent us a photo of her first tattoo, a CATtoo. 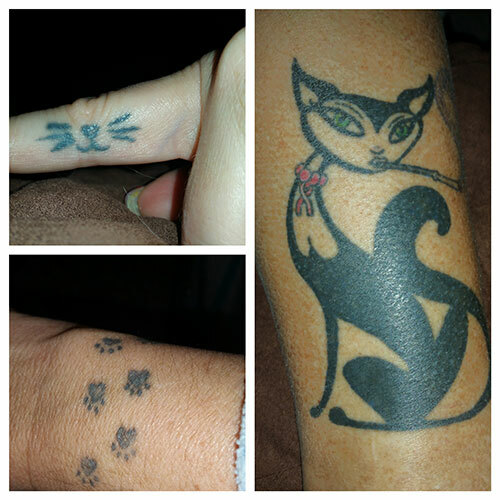 She and her daughter wanted to do something fun and memorable before the girl went off to college and they thought getting tattoo’s would be perfect! 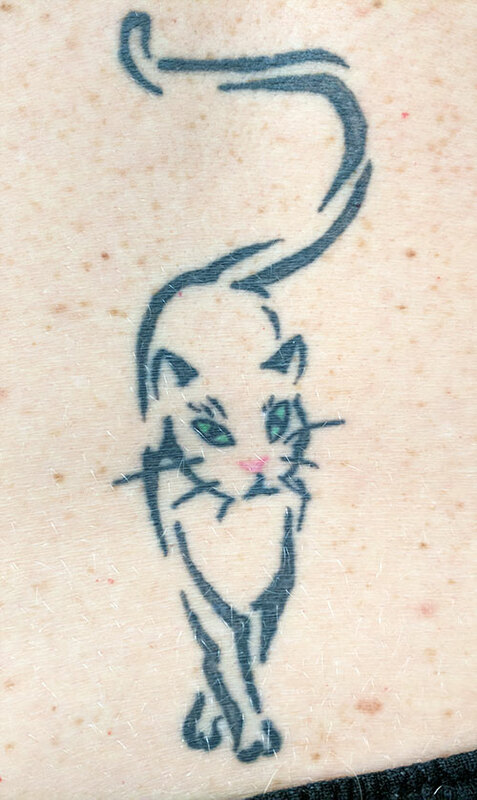 Paula designed a cat motif, or a CATtoo. 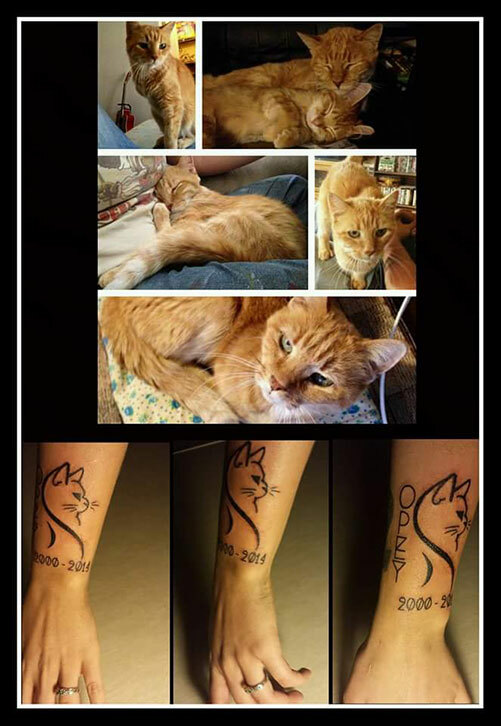 We featured it in our newsletter and asked if anyone else would like to show theirs off to send us photos and a story if there was one. 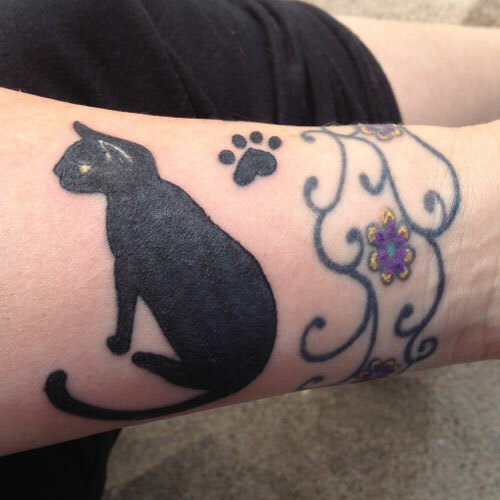 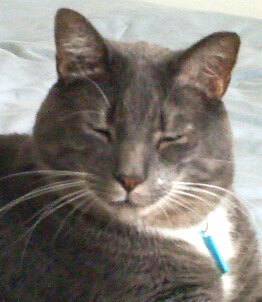 Here they are – inky and loving Valentine’s Day ways to honor the cats in their lives!